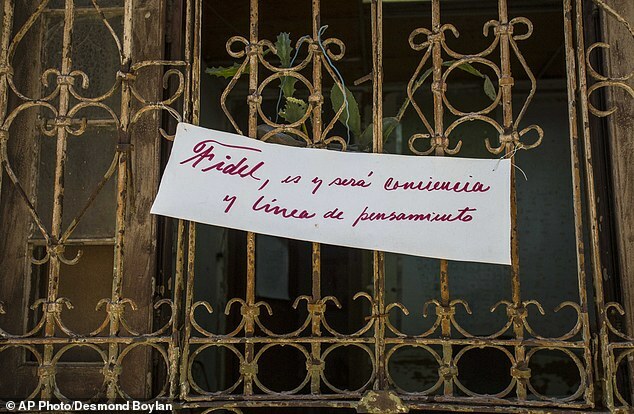 Fidel Castro thanked Cubans for their well-wishes on his 90th birthday and criticized President Barack Obama in a lengthy letter published in state media. He appeared but did not speak at a gala in his honor broadcast on state television. ‘I want to express my deepest gratitude for the shows of respect, greetings and praise that I’ve received in recent days, which give me strength to reciprocate with ideas that I will send to party militants and relevant organizations,’ he wrote about his birthday on Saturday. 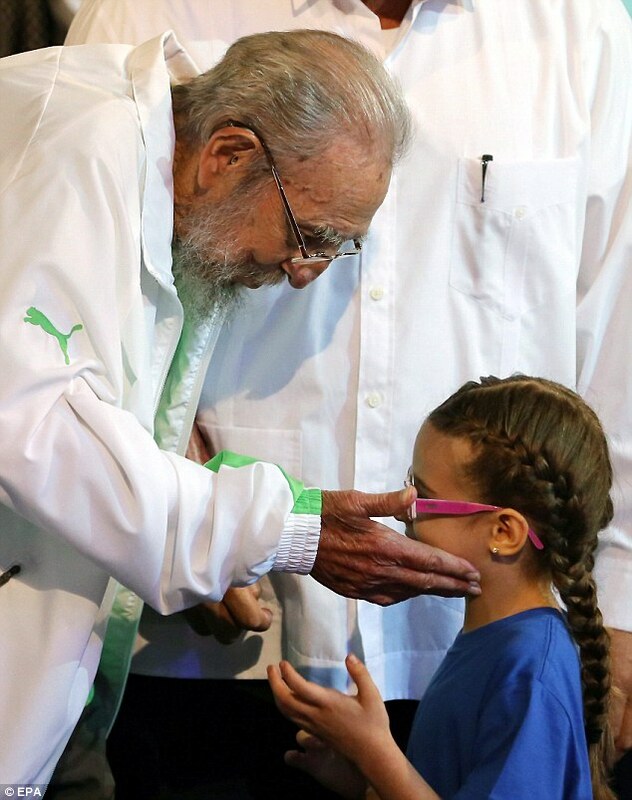 ‘Modern medical techniques have allowed me to scrutinize the universe,’ wrote Castro, who stepped down as Cuba’s president ten years ago after suffering a severe gastrointestinal illness. 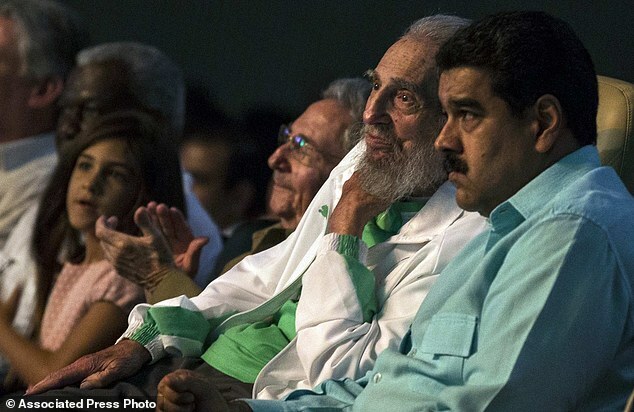 Just after 6pm, he could be seen in footage on state television slowly approaching his seat at Havana’s Karl Marx theater, clad in a white Puma tracksuit top and green shirt. He sat in what appeared to be a specially equipped wheelchair and watched a musical tribute by a children’s theater company, accompanied by footage of highlights from his decades in power. 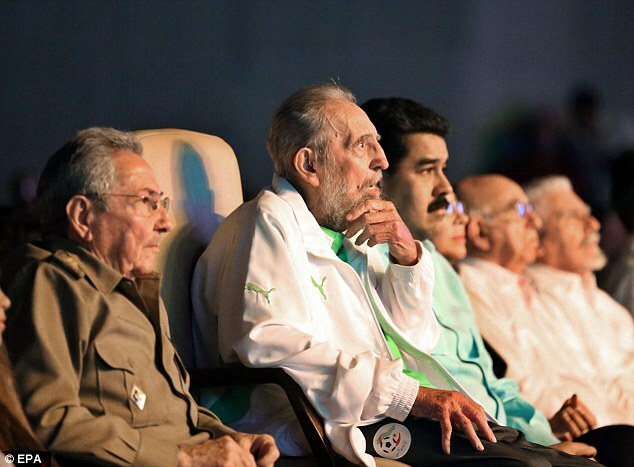 He sat alongside his younger brother, President Raul Castro, and President Nicolas Maduro of Venezuela, along with Cuba’s highest-ranking military and civilian officials. 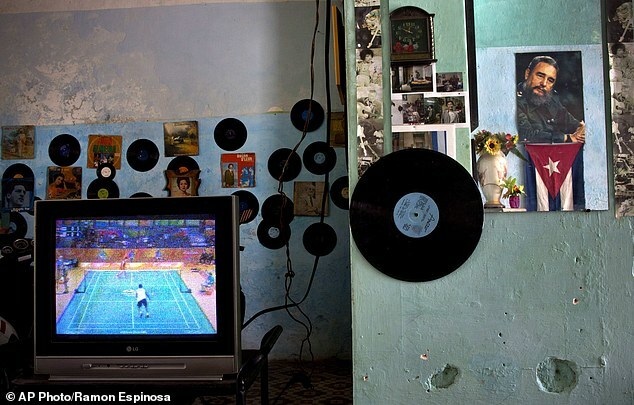 In his letter, Castro accompanied his thanks with reminiscences about his childhood and youth in eastern Cuba, describing the geology and plant life of the region where he grew up. 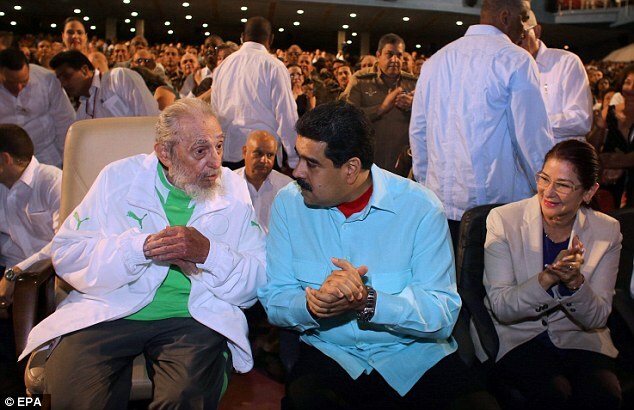 He touched on his father’s death shortly before his own victory in overthrowing US-backed strongman Fulgencio Batista in 1959. 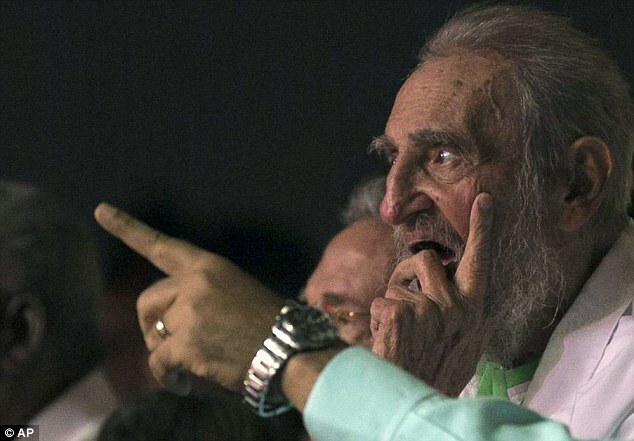 Castro returns at the end to criticize Obama, who appeared to anger the revolutionary leader with a March trip to Cuba in which he called for Cubans to look toward the future. 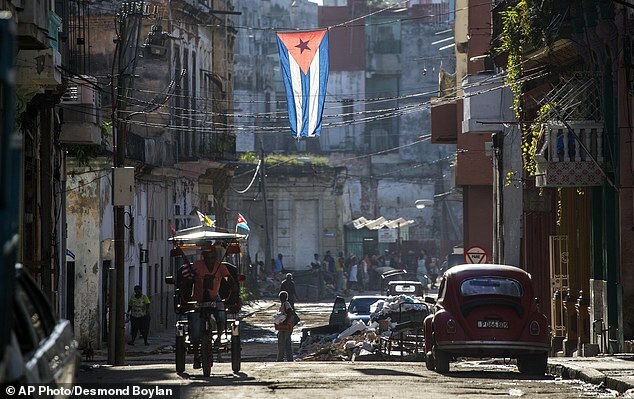 The Cuban government has taken a relatively low-key approach to Castro’s birthday, in comparison with the large-scale gatherings that had been planned for his 80th. Along with the Saturday evening gala, government ministries have held small musical performances and photo exhibitions that pay tribute to the former head of state. 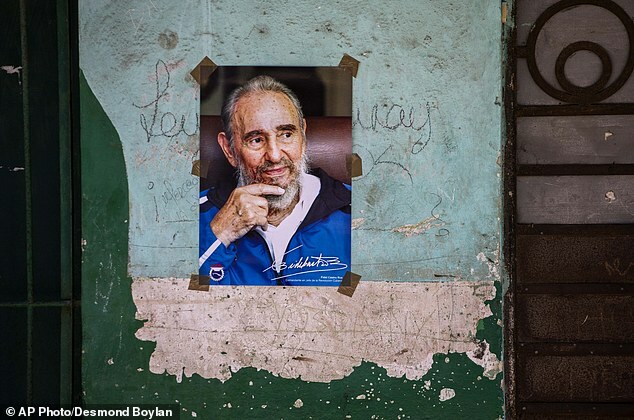 Castro last appeared in public in April, closing the twice-a-decade congress of the Communist Party with a call for Cuba to stick to its socialist ideals amid ongoing normalization with the US. 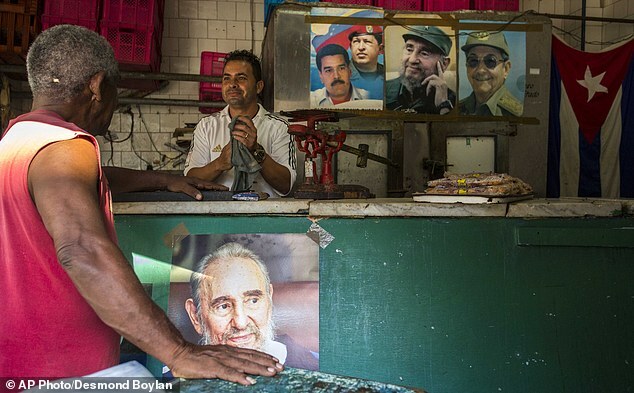 The need for closer economic ties with the US has grown more urgent as Venezuela, Castro’s greatest ally, tumbles into economic free-fall, cutting the flow of subsidized oil that Cuba has depended on the South American country for more than a decade. 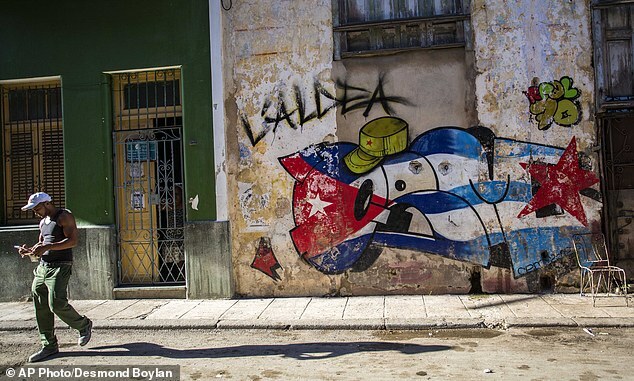 Meanwhile, tens of thousands of Cubans are migrating to the United States, hollowing out the ranks of highly educated professionals. 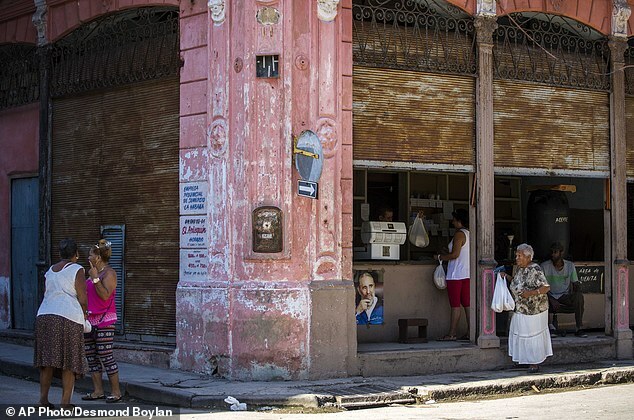 The brightest spot in Cuba’s flagging economy has been a post-detente surge in tourism that is expected to boom when commercial flights to and from the United States, Cuba’s former longtime enemy, resume on August 31.